Toys and foot toys geared toward the little tikes! Prevue Pet Products Small Tear-Riffic Grab Bag for Birds are made from 100% coconut fiber bags. They come packed with sticks great for tossing tugging chewing and playing with. All included toys have 100% safe FD&C colors. Make it a foraging toy by adding non-perishable treats! Designed for use by Small and less destructive Medium birds. Happy Beaks Small Rainbow Sisal Ring satisfies bird's desires to chew as well as providing an outlet for bird preening. The color sisal rope will add some fun to your birds cage and can also recude bordum during the day. A huge rattan ball stuffed with crinkle paper, strung on hemp rope and decorated with acrylic balls and disks. Lots of room to hide treats to make it a fabulous foraging toy! Recommended for smaller birds, such caiques, pionus, conures and similarly sized birds. Hung with a bird-safe plastic link. Toy hangs 7" in total. Actual toy is 2.5" x 2.5" x 4"
Great for little birds, from tiels to caiques. Lots of acrylic toy parts dangling from a wooden candelstick holder. Tied with jute and hung with a plastic link. Lots of beak and talon enrichment! Hangs 9" long and is 2.5" wide. This toy is made of kraft paper. Inside is filled with crinkle paper and the outside is decorated with wodden stars, acrylic hearts and paper rope. The box is 5" x 5" and the total hanging length is 10"
Recommended for medium birds, but great for smaller birds, especially quakers and cockatiels and other birds that love to shred! Assorted colors of our choice. Cute neon plastic monkey links in a variety of neon colors. Perfect for small birds. Approximately 3/4". Wood, plastic chain and polyrope make this toy a new favorite for your bird. Recommended for conures, caiques, ringnecks, quakers, pionus and similarly sized birds. Cute cute cute! Birds love to hide especially in the evening. Adorned with lots of "outside the hut" activity! Gives your bird a cozy, snuggley secure place to relax!! Recommended for x-small birds, such as finches, canaries, lovebirds, parrotlets, small budgies and similarly sized birds. Acrylic is Inserted Into the Base of the Hideout for Stability and Safety of Your Pet. This protects the hideout from collapsing. Small Size measures: 6" x 4" x 4.5"
Gives your bird a cozy, snuggley secure place to relax!! Recommended for small birds, such conures, caiques, cockatiels, ringnecks, quakers and similarly sized birds. Small Size measures: 9" x 5" x 6"
Great for little birds! This hanging activity center appeals to your bird's love of height and enrichment. Made of a natural seagrass mat, the Hammock Heaven is a unique, fun new way to keep pet birds happily occupied. A natural platform and four anchoring points provide comfortable footing as your bird plays with an assortment of brightly colored plastic charms and beads. Great for special abled birds. Balsa and Cork! Three slices of balsa stuffed with lots of colorful cork and finished off with a bell! Balsa and Cork! Two chunks of balsa stuffed with cork and finished off with a bell! Happy Beaks small hanging fleece bird swing is great for birds who love to preen, and also great for pluckers. This bird swing has ruffled fleece sides with acrylic gems at the bottom. Happy Beaks Fiesta Blocks bird toy is chock full of wood and plastic parts for birds with little beaks. Little wavy plastic parts easily move around for lots of beak time and baby pacifiers finish off the bottom of each strand. There are even wood slices for chewing. Great foraging birds who love to shred! Made of natural burlap and stuffed full of crinkled paper, this toy offers your bird an excellent foraging experience. Your bird will love working to uncover the fun inside this bag! Recommended for small birds, such as caiques, pionus, hahns macaws, quakers, etc. to less aggressive medium birds, such as eclectus, goffins, galahs, etc. to less aggressive larger birds. Recommended for X-Small to Small Sized birds, from lovebirds, parrotlets, canaries, finches, cockatiels, etc. to caiques, conures, pionus, etc.. 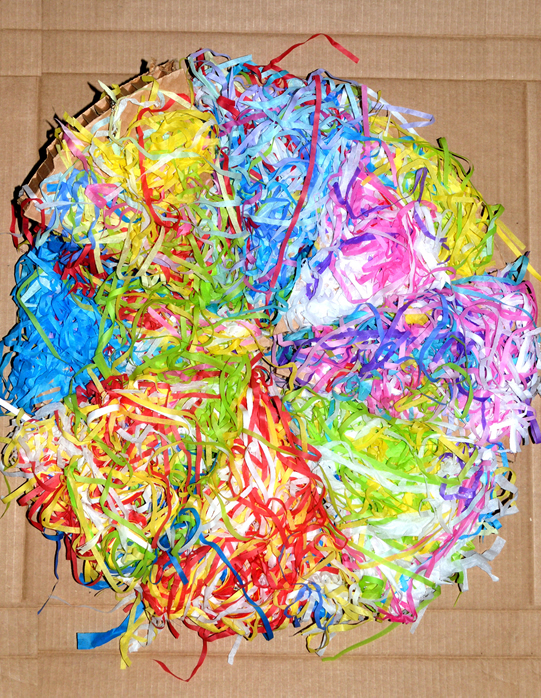 These interlocking rings of all natural fibers woven for super crunchy appeal are great for birds that love texture. X-small birds can sit in the rings while small birds can swing as they chew.